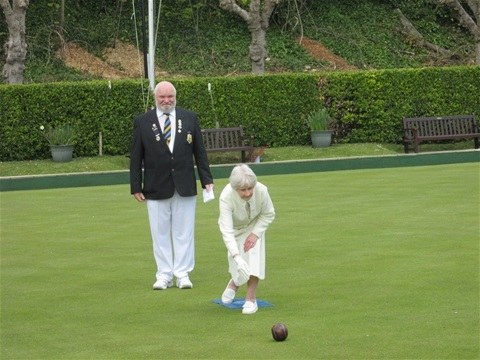 Former Ladies President, Anne Samuel, performed the opening ceremony of the outdoor green last Sunday. 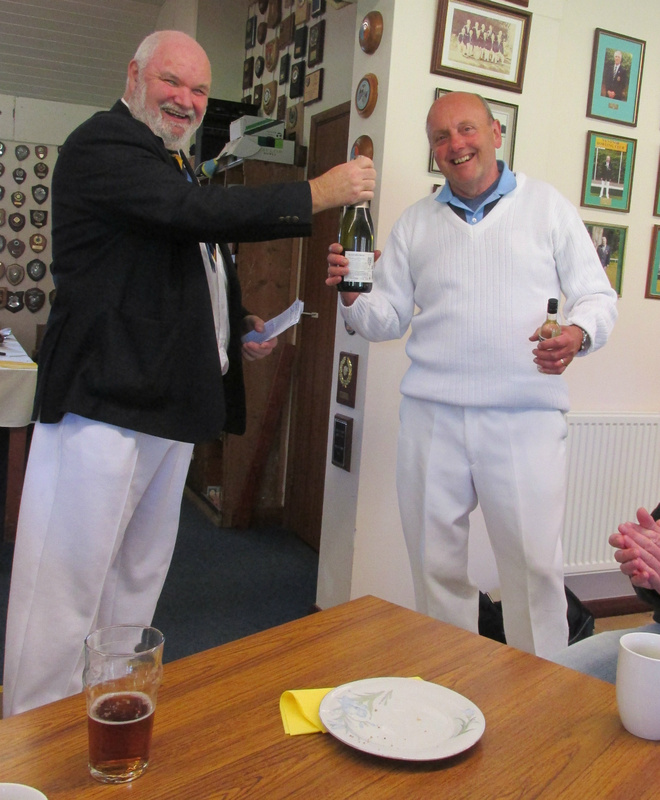 The morning started warm and sunny, but during the afternoon the cold wind began to make itself felt, to such an extent that it was decided to retreat into the clubhouse and partake of the tea and cakes a little earlier than planned. Play started with the traditional “Spider” which was won by John Walker who went on to complete the double by winning the spoon drive as well with 21 shots. 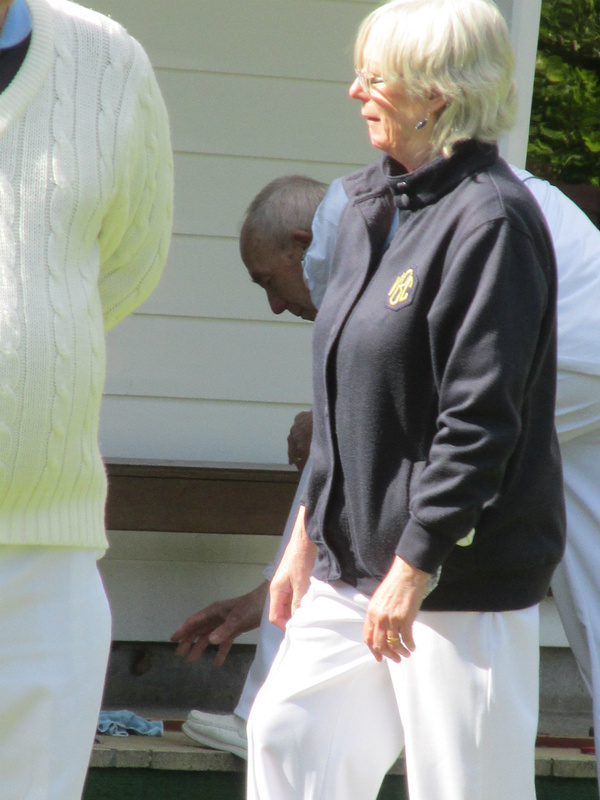 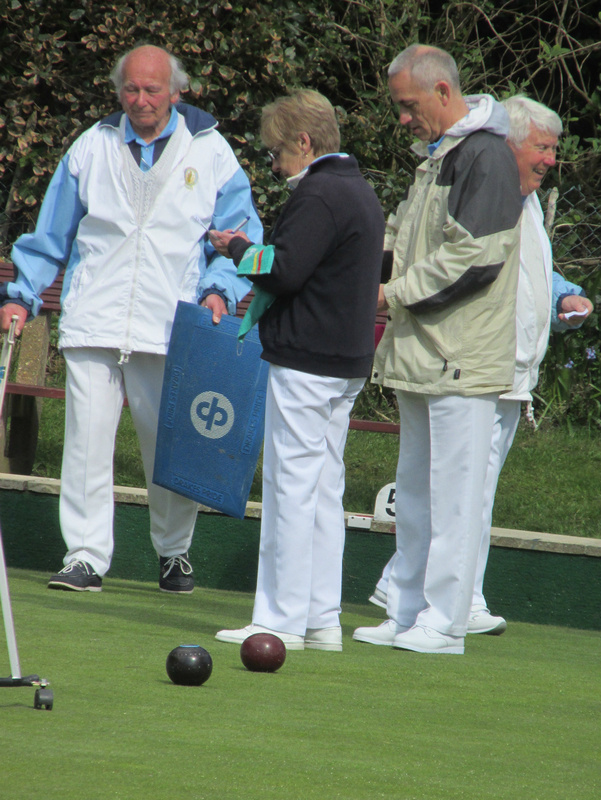 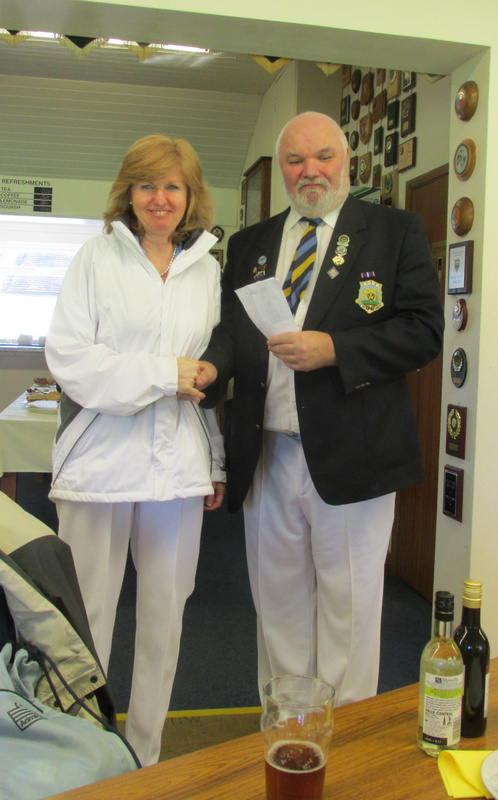 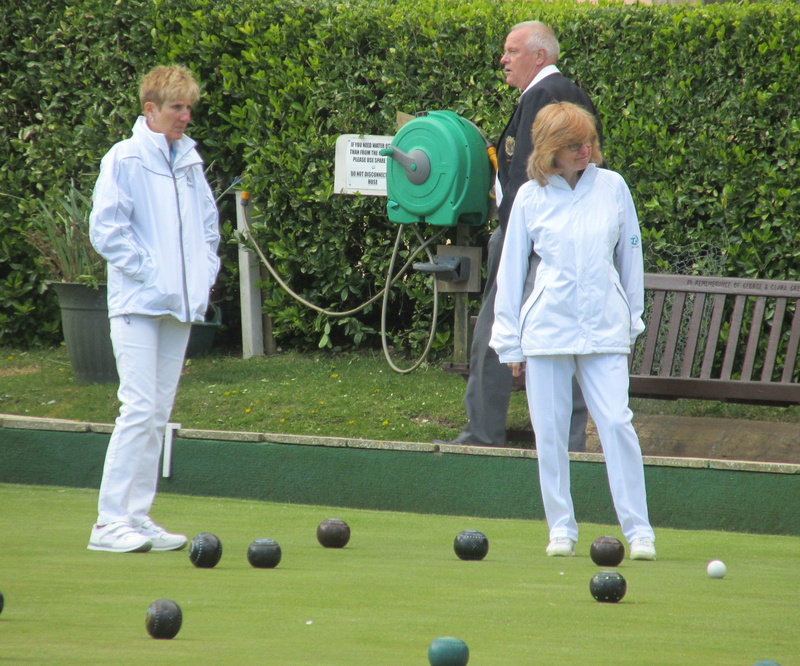 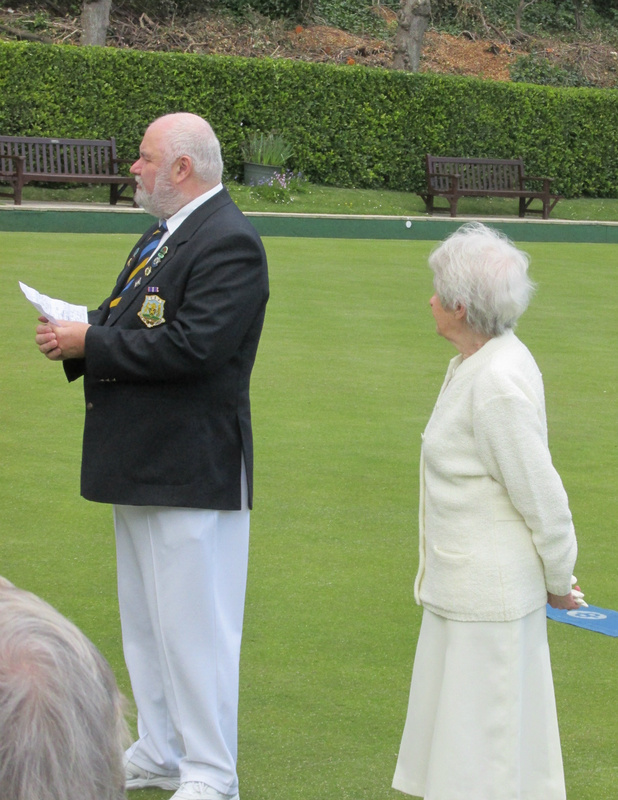 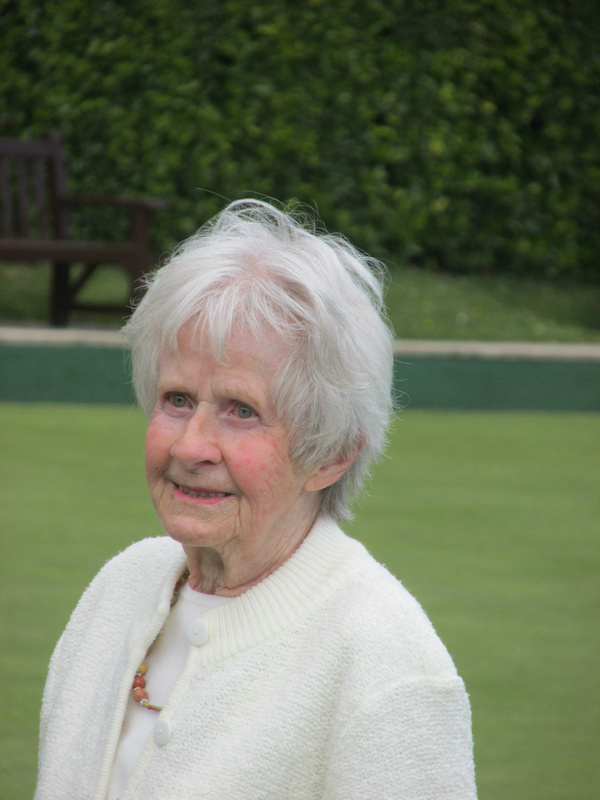 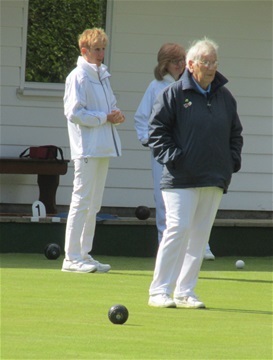 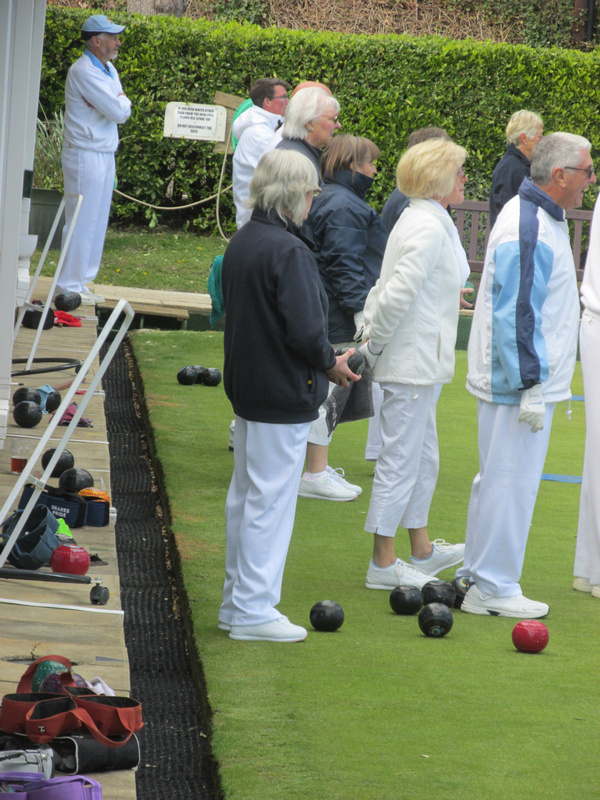 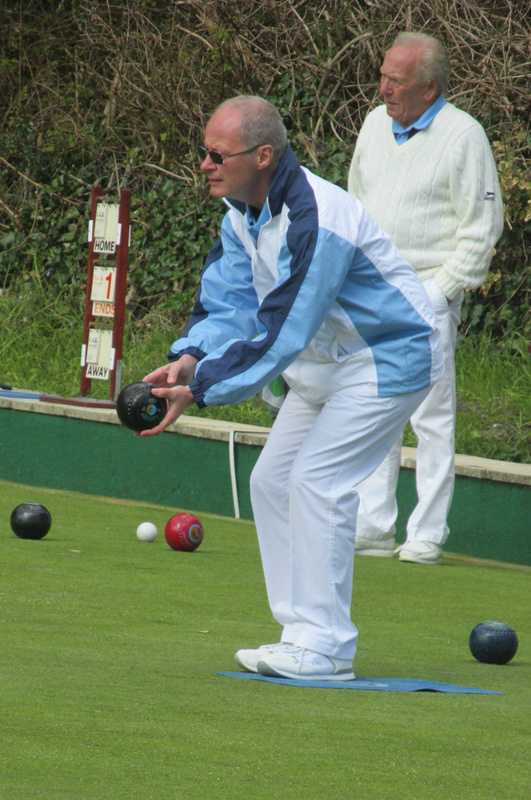 There were three runners-up with equal scores of 18 shots – Susan Heaton-Watts, Liz Warren & David Stead. 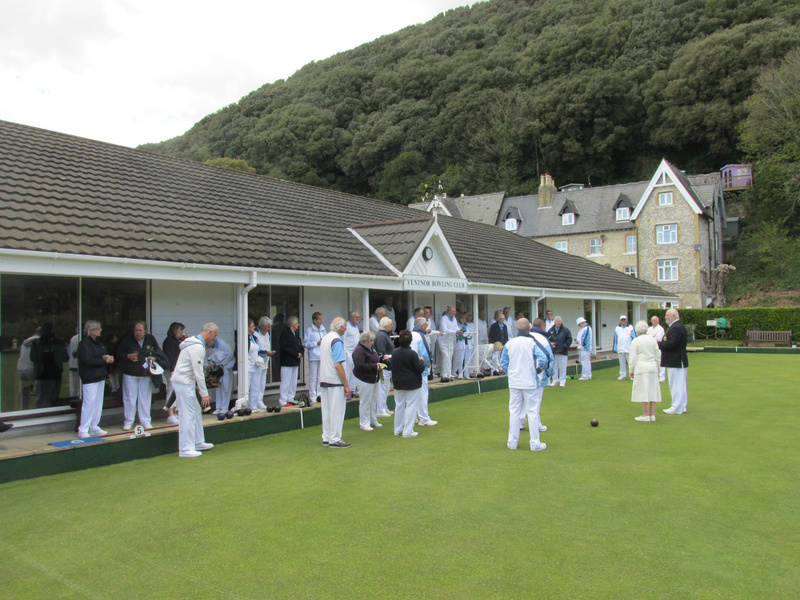 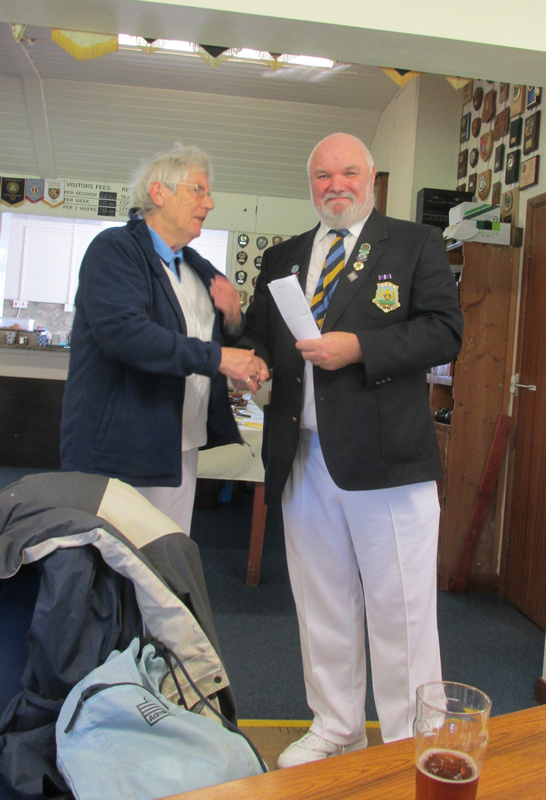 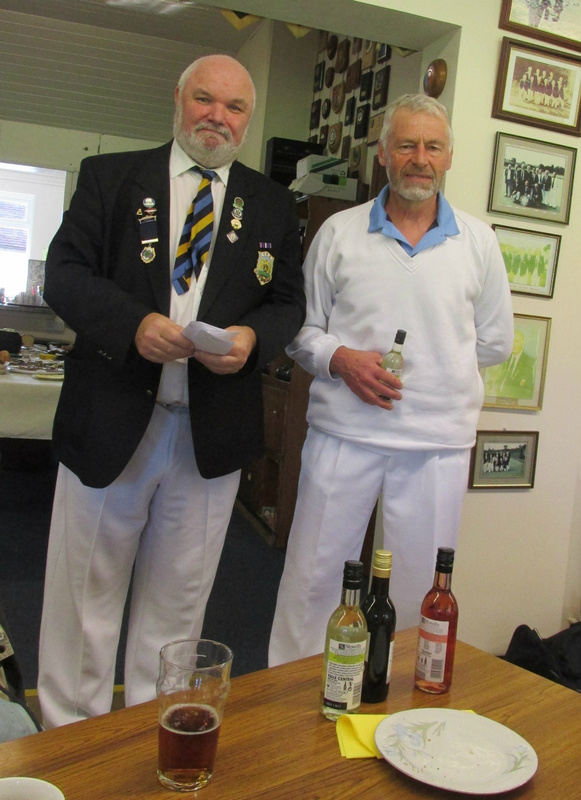 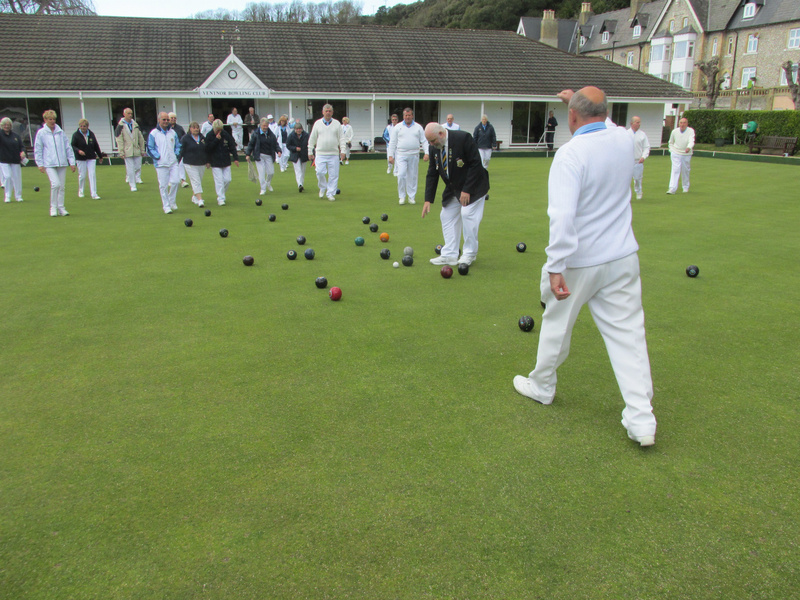 The day was ably organized by Club Captain, John Milmoe, and after tea, Ventnor Club President Steve Wake presented awards to the winners and runners-ups and thanked all those who had made the day a success especially those who had provided and prepared the food. Steve also welcomed six new members, four of whom took part in the proceedings – Annie & Mark Morris, Jenni Carroll and Ian Elvin. 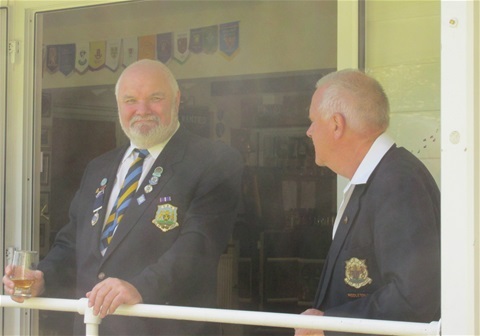 Keith Bishop and Richard Wyatt were unable to attend due to illness and injury. 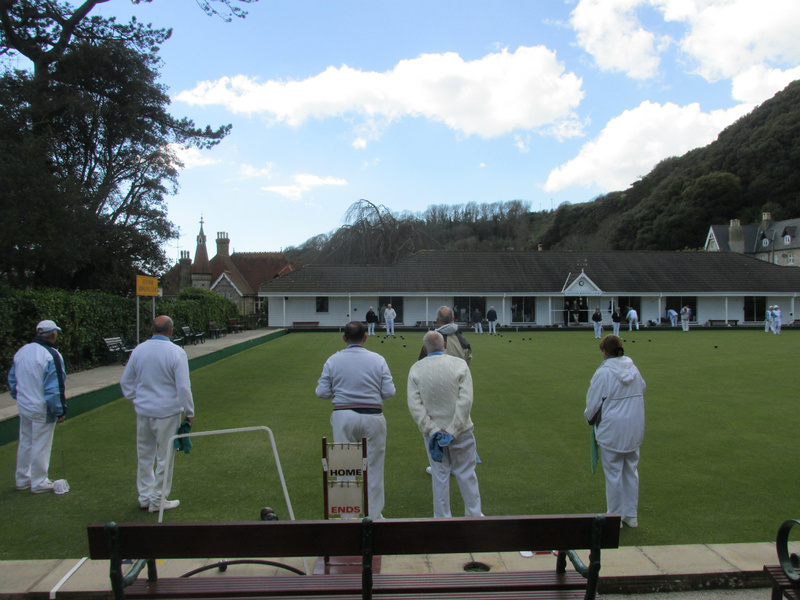 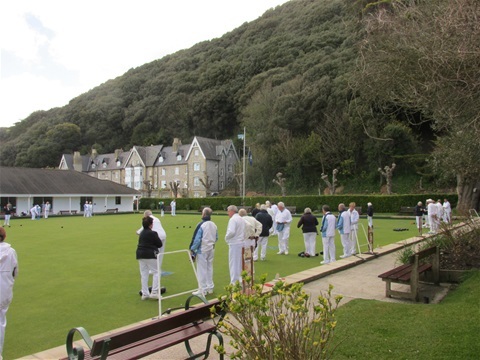 Thanks were conveyed to all those whose hard work had ensured that the clubhouse and surroundings were in pristine condition - as it always is for opening day.